(Nanowerk News) VTT is the first in the world to have developed a drug test printed on paper. 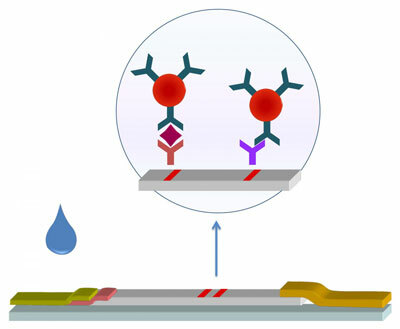 VTT used antibodies - produced by methods of molecular biology - as morphine sensing molecules when creating this printing technology-based morphine test ("A paper-based lateral flow assay for morphine"). Using printing technology to manufacture rapid tests enables high production volumes and low production costs.